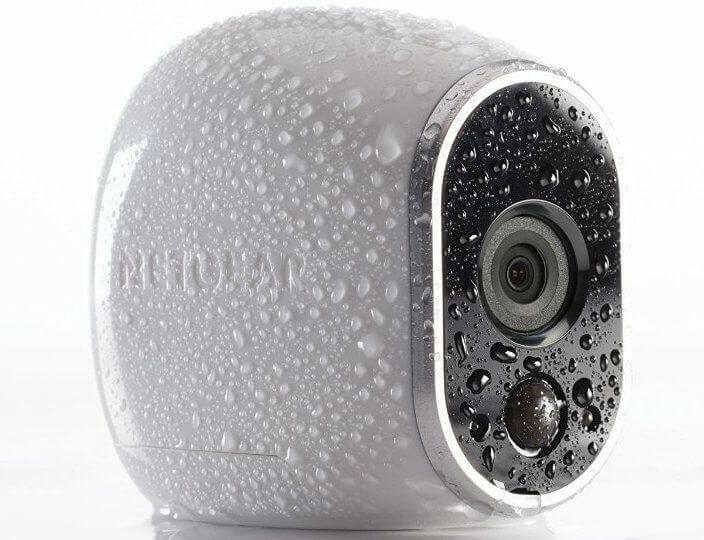 Arlo cameras have just received a breath of fresh air with a lot more functionality. Now Arlo is truly a top smart camera competitor because of the new Arlo IFTTT integration announced last week. These new features are a big stab at Nest Cam. Arlo now has the same functionality without the mandatory fees of the Nest Cam to review content. 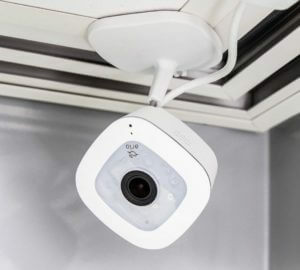 Arlo cameras are great because they give you the last 7 days of cloud storage for free and the Arlo Wire-Free has the ability to be placed outside your home with no need to worry about plugs or getting rained on. Let’s talk about some of the best IFTTT recipes that will secure and automate your home. IFTTT (If This Then That) is a free service to get smart home devices to talk to each other. IFTTT has an Arlo channel with “recipes” to automate tasks. Right now, the most popular recipe for Arlo is receiving a notification when batteries are getting low. This comes at no surprise because Murphy’s law would have an incident at my home right after the batteries ran out on the camera. Take that Murphy’s law! Imagine coming home late at night and your lights turn on automatically. Setting a smart light up in your home is pretty awesome and it can do so many things. Although, automatically turning on a light for a long period of time can be a waste of money and energy. Connecting to Arlo’s motion detection can make the smart light much more intelligent. For example, a Hue light can be turned on when someone is walking up to your house to make it look like someone is home. One of the biggest challenges with security devices is convenience. Normally Arlo could be left on all the time but there are a few drawbacks to that. First, the battery life will decrease faster when recording all the time. Second, there will be unnecessary recordings and notifications. With Arlo IFTTT integration a geo-fence can be set up to arm and disarm Arlo when entering or leaving the area. Or if you own an Amazon Echo, you can just tell Alexa to arm Arlo as you are heading out the door. @davezatz I am so happy with IFTTT & Arlo. I put arm and disarm Do buttons on my home screen for one touch on/off. IFTTT recipes work on both the indoor and outdoor cameras. If you would like to see more functionality, including turning on the sprinklers when someone is in your yard, then take a look at the Arlo IFTTT Channel. 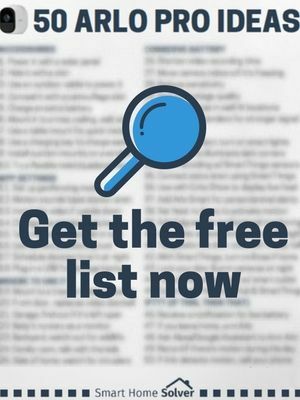 For more ideas about using Arlo Pro, make sure you snag our free download with 50 Free Arlo Pro ideas. When changing batteries does one need to re-sych? Hi Tom, great question. Once you replace the batteries it will link back up with the base and will not need to re-sync. Can Alexa turn on/off Arlo “Schedule” and “Geo-Fencing”? Hi, Aniello. For now, I think that Alexa can only arm and disarm Arlo. So it can’t turn on/off geofencing, but it could change its schedule if you are just looking to arm and disarm it.